Llara's Blog: This one's a gem! Look at all those stones and studs! Wedge (my new favourite thing apparently), peep toe (an old fave), platform (of course) and H-to the-I-to-the-G-to-the-H! 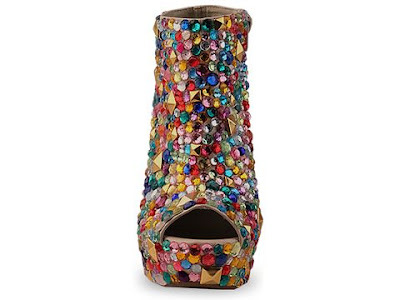 The shape of the wedge is just perfect and the peep toe is exactly the right size! 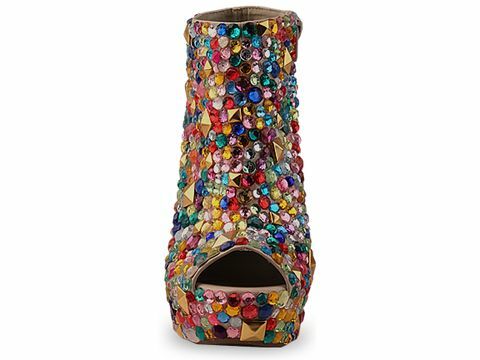 I hate an oversized peep toe. they are rather fab, but at the same time, they do make me think "i could make that!" They are very unique and pretty though. Well Char, those were my thoughts exactly. And if I want a pair that's how it's going to have to go. 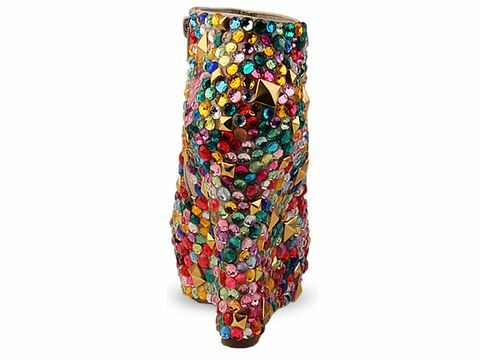 I am going to scour ebay for cheap peep toe wedge boots! I'm sure (even with buying the glue gun) I can bring 'em in under $334.95! 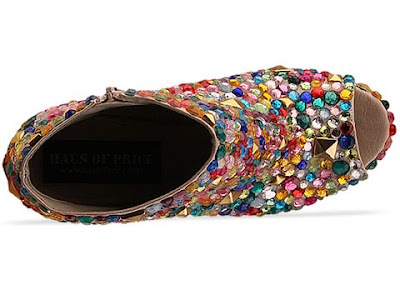 i am in love with these shoes, but they are def overpriced. i am going to diy them. ALSO, im 99.9% sure the shoe base they use is made by qupid. specifically, style bikini-73 in beige. i've seen them on urbanog.com for 29.90 (wholesale $10). 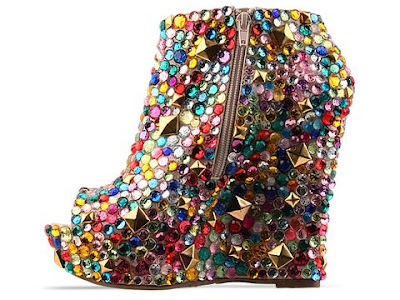 so they are basically bedazzling a cheap pair of wedges... which is why i think the price is ridiculous! 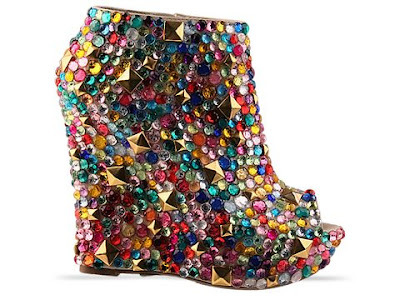 so if you want the same wedge they use, get the qupid ones!